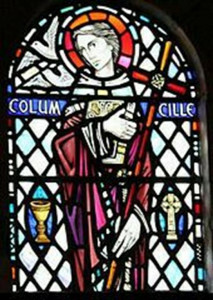 Saint Columba (7 December 521 – 9 June 597 AD) was also known as Colum Cille (Old Irish, meaning "dove of the church"), Colm Cille (Irish), Calum Cille (Scottish Gaelic), Columb Killey (Manx Gaelic), Columba (Latin) andKolban or Kolbjørn (Old Norse, meaning "black bear"). 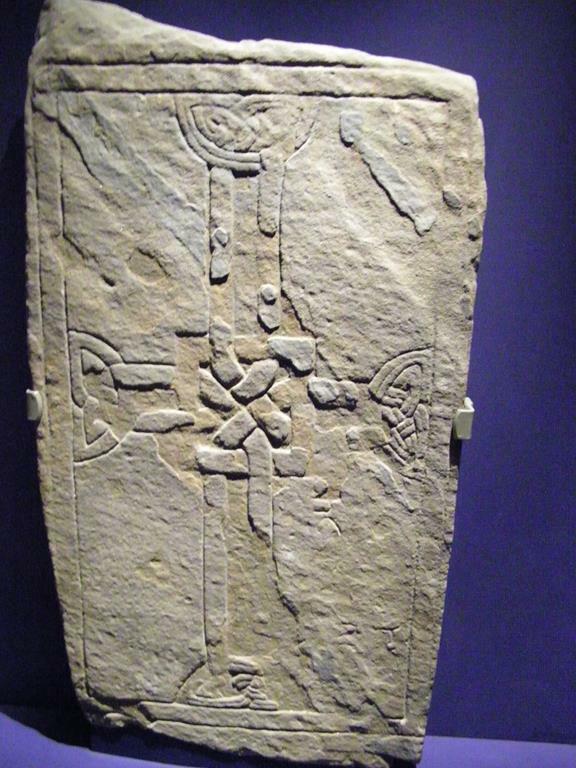 He was a Gaelic Irish missionary monk who propagated Christianity among the Picts during the Early Medieval Period. He was one of the Twelve Apostles of Ireland. 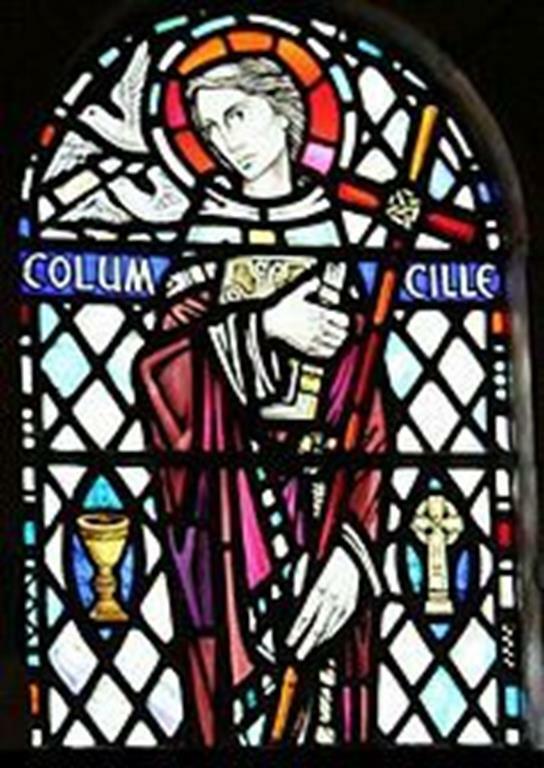 Columba was born to Fedlimid and Eithne of the Cenel Conaill in Gartan, near Lough Gartan, in modern County Donegal, part of the Provinces of Ulster in the north of Ireland. On his father's side he was great-great-grandson of Niall of the Nine Hostages, an Irish high king of the 5th century. He was baptised in Temple-Douglas, in the County Donegal parish of Conwal (mid-way between Gartan and Letterkenny), by his teacher and foster-uncle Saint Crunathan. 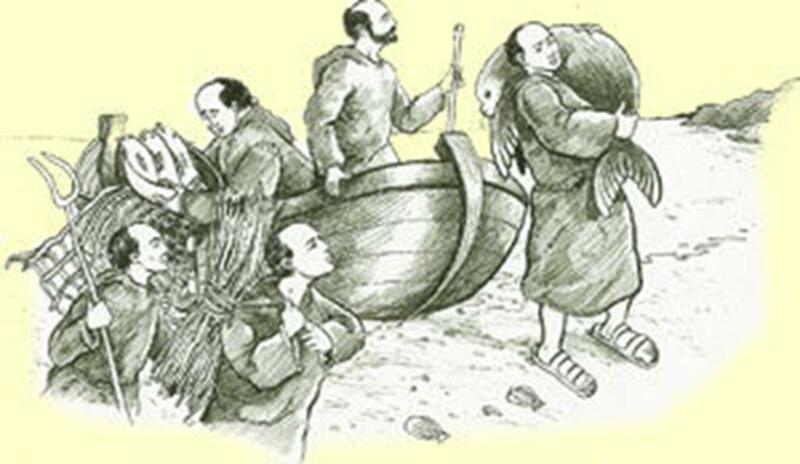 who studied under St. Finnian became known as the Twelve Apostles of Ireland; Columba was one. He became a monk and eventually ordained a priest. During this time he is said to have founded a number of monasteries, including ones at Kells, Derry, and Swords. which many men were killed. A synod of clerics and scholars threatened to excommunicate him for these deaths, but St. Brendan of Birr spoke on his behalf with the result that he was allowed to go into exile instead. Columba suggested that he would work as a missionary in Scotland to help convert as many people as had been killed in the battle. He exiled himself from Ireland, to return only once, many years later. Columba's copy of the psalter has been traditionally associated with the Cathach of St. Columba. The kingdom of Dalriada was a gaelic speaking realm and stretched from the west of Scotland (Argyll) to the north east of Ireland (Donegal). In the year AD 563 Columba journeyed from Loch Foyle with twelve clansmen where according to legend he first landed on the Kintyre Peninsula, near Southend. However, being still in sight of his native land he moved further north up the west coast of Scotland with the intention of establishing a religious foundation in Argyll, with the King of Dalriada, Conall MacComhgalls help. 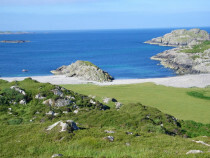 Conall gifted the Isle of Iona to Columba and his followers. 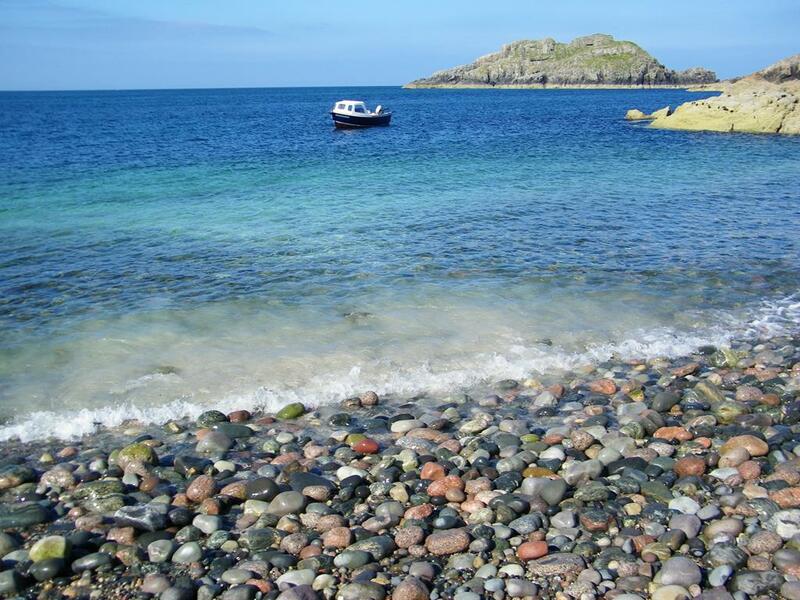 Iona was ideal in practical terms of defence, agriculture and raw materials and the monks on Iona formed a self sufficient community maintaining a tannery, iron and wood workshops. The land produced plentiful grain and fodder. 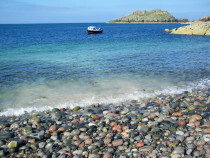 They hunted deer on neighbouring Mull and caught seals around the shores of Iona, a valuable source for oil for lamps. 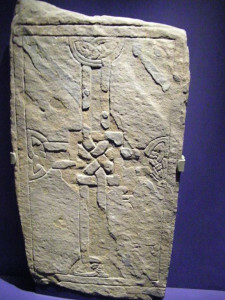 Iona became the centre of his evangelising mission to the Picts. However, there is a sense in which he was not leaving his native people, as the Irish Gaels had been colonizing the west coast of Scotland for the previous couple of centuries. Aside from the services he provided guiding the only centre of literacy in the region, his reputation as a holy man led to his role as a diplomat among the tribes; there are also many stories of miracles which he performed during his work to convert the Picts. He visited the pagan King Bridei, King of Fortriu, at his base in Inverness, winning the Bridei's respect, although not his conversion. He subsequently played a major role in the politics of the country. He was also very energetic in his work as a missionary, and, in addition to founding several churches in the Hebrides, he worked to turn his monastery at Iona into a school for missionaries. He was a renowned man of letters, having written several hymns and being credited with having transcribed 300 books. One of the few, if not the only, times he left Scotland was towards the end of his life, when he returned to Ireland to found the monastery at Durrow. buried in Downpatrick, County Down, with St. Patrick and St. Brigid or at Saul Church neighbouring Downpatrick. (Names of Iona), Inchcolm and Eilean Chaluim Chille. started this treasure was transferred to a new monastery in Kells, County Meath, Ireland where it was completed. 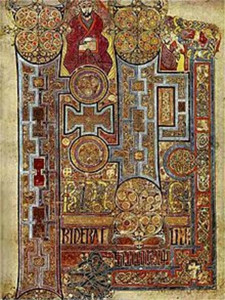 The book is now known as the Book of Kells. The Viking raids in the 9th century included the pillage and looting of Iona on several occasions and eventually Iona was abandoned until a Benedictine monastery was started in the 12th century. 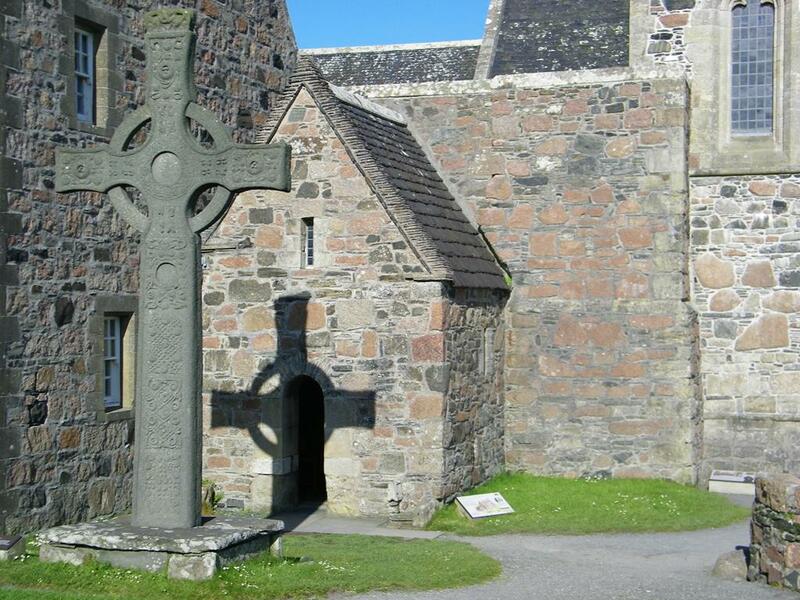 Although a great traveller and statesman, Columba was also a dedicated church leader and spent most of his last 34 years on Iona. 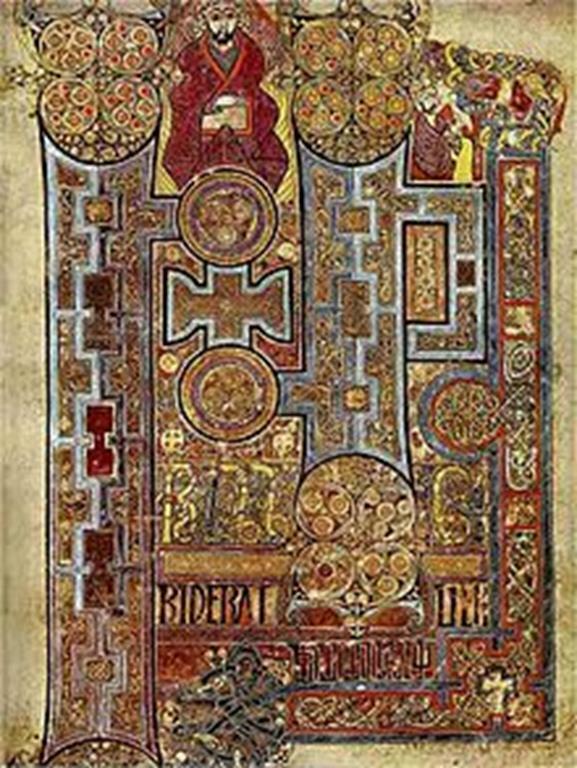 The twin influences of Columba’s life, austerity and power, are reflected in the sculpture of the following two centuries as indeed in the Book of Kells. Today countless churches in Scotland, England and Ireland are named after him.